Where he gives a specific "name" to a knot it will be noted in parentheses. 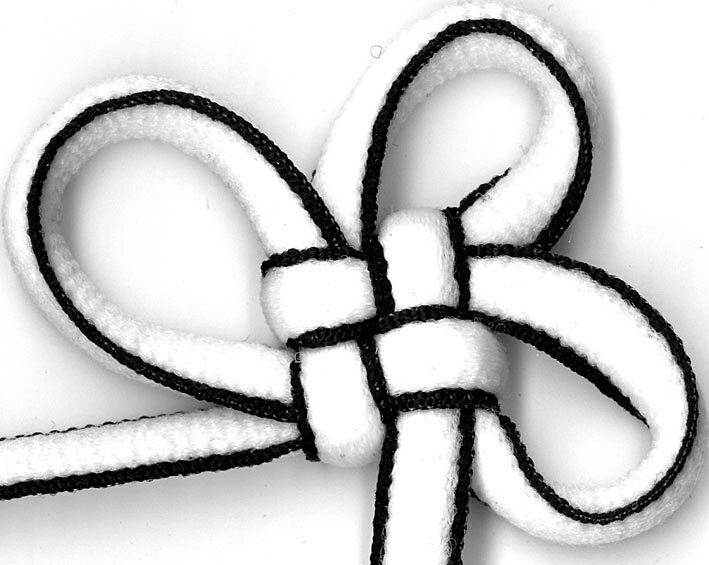 #811 is the square flower knot. 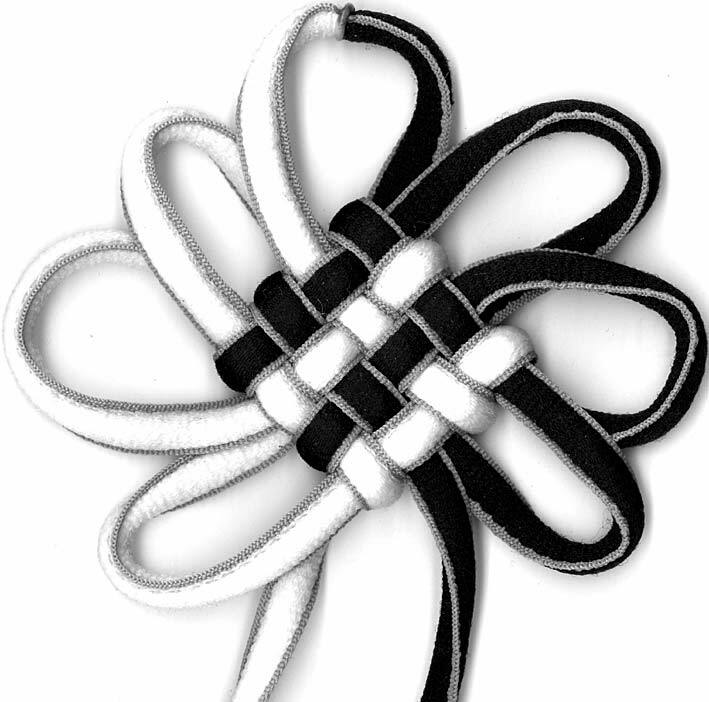 #812 is a variation on the square flower knot giving ears on all corners as well as 2 incoming and 2 outgoing cords. #842 (a triangular knot of the butterfly variety) is the triangular version of the mystic knot with a square flower in each of the 3 corners. #589 is a reorderd 2x2 mystic with one cord coming out of the middle of 2 sides. #2477 and #2479 are square flower knots tied in sequence in a "Chinese lantern cord" with their side ears tied into double coin knots.